We are happy to see Ausgrid's online metering information now removes any ambiguity regarding the best import / export electricity meter, for correct / beneficial output towards the end user. Where net metering is installed to record bi-directional energy, the metering equipment used by Ausgrid registers the addition of the instantaneous power flows in each phase. In three phase installations this is particularly important where a single phase embedded generation system is installed. 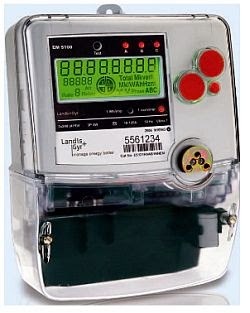 The following example illustrates how the meter will record energy. +1.84kW + 2.76kW – 1.61kW = +3.0kW towards the premise. Visit our Solar Power pages to see more of Ausgrid's statement and also learn more about NET FIT METERING & BILLING and the TYPES OF NET METER. Knowledge that will certainly help you maximise your solar investment. This blog post brought to you by Aussie Home Energy, a major player in the HOME ELECTRICITY SAVING SERVICES industry in Australia.